We are delighted to introduce the very talented and gracious author, Beth Coulton to the KIDLIT411 community! 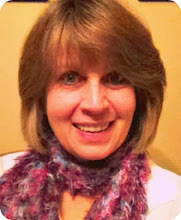 Hi Beth, thank you for being featured in our AUTHOR SPOTLIGHT! What were you like at school? Can you tell us a little about yourself and your background? Ah, I was a good student. Always did as I was told, always did my homework, always good at spelling and always hated tests. Your average student! I went K-12 at the New Hope-Solebury School District in Bucks County, PA, and I loved it so much I now work in the elementary school’s main office! Yes! I love to secretly correct others’ spelling and grammar. I’m an editor at heart. To write more picture books! I love the artwork that picture books allow, and also picture books usually have stories that are clever and teach a simple, wonderful universal lesson to children young and old! Have you written anything in collaboration with other writers? Yes! 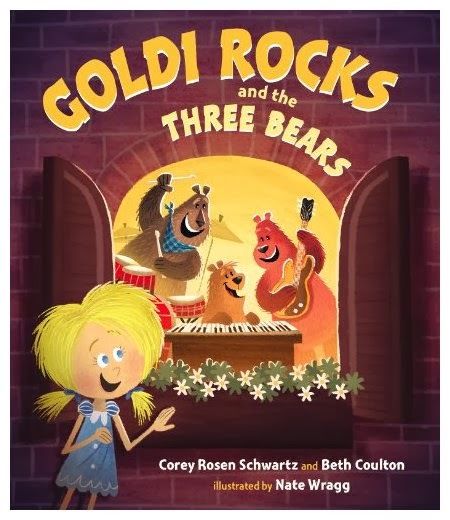 Goldi Rocks was in collaboration with Corey Rosen Schwartz. I’ve written off and on through my adult life, but I decided to pursue it intentionally in February 2009, one year after I took a job working in an elementary school library. I knew I wanted to try writing a picture book, but along the way, I wrote lots of essays and short stories that I published on my blog. Part-time; I was a library assistant for 5 years and now work in the main office of the elementary school I went to – that’s my full time job. Can you tell KidLit411 something that no one else knows about you? A special pre-writing ritual, or a ritual you have when you're finished writing? I am deeply in love with chocolate. I must have it to write! On January 1, I joined an online challenge to make it a daily habit to write 500 words a day for all of January. Our group loved the challenge so much we have continued into February and see no reason to stop! So I aim for 500 words every day in my journal, or on a blog post, or towards a new story. That you need no special equipment. A pen, paper and some imagination are the only tools necessary. With them you can write and be a writer. I’m definitely not an ebook reader; I don’t a Kindle or any other device and have no desire to! I’m a traditional book girl all the way. Nothing thrills my soul like a good bookstore or time spend in a library – the most peaceful, resourceful places on earth! I get lost in them. By enjoying some alone, quiet time (when I can get some!) and by being outdoors. “Sometimes the hardest thing and the right thing are the same,” by The Fray. Oh, I would have loved to be the original author of If You Give A Mouse a Cookie and all the sequels. So cute and over-the-top clever and who doesn’t love an adorable mouse? Don’t give up! Write for your own enjoyment, not necessarily for publication. Write because it’s fun, therapeutic and free! There seems to be lots of authors who enjoy anchovies on their pizza- what about you? I love pizza but no anchovies! Beth Coulton is a wife, mom, sister, writer and photographer who loves laughter and chocolate. A teacher by trade, she spent the last 5 years as an elementary school library assistant and quickly developed a passion for picture books. With three young adult children, a husband and a large golden retriever (her furry fourth child), there is usually more than enough happening around her house to keep her from getting writer’s block. Thanks so much for the interview, Beth! Such wonderful insight into an author's creativity! Thanks for sharing your thoughts Goldi Rocks looks so fun! WOW!! ! I know this famous, amazing, fun, inspiring woman! GO BETH!